Help us do more to improve education for children with Down syndrome worldwide. Our work for children with Down syndrome depends on the generosity of families, friends, companies and foundations around the world. Your support is vital and you can give in many ways. There are many ways to help our work: donating, organising fundraising events, introducing us to corporate sponsors or trusts and foundations, and remembering us in your will. Donate securely online via JustGiving. You can pledge a one-off gift or commit to a regular monthly donation. Alternatively, you can call us on +44 (0)330 043 0021 to pledge a donation, or post a cheque (including CAF cheques) to our main office. Runs, walks, cycles, climbs, swims and tea parties - the list of fantastic fundraising ideas is endless. Why not organise your next event to support our work? You can accept sponsorship from supporters easily online using Virgin Money Giving or Justgiving. Please contact us for sponsor forms and other assistance at giving@dseinternational.org. We are always looking for introductions to companies, trusts and foundations whose interest may align with ours. We have a variety of opportunities for corporate sponsorship, including Corporate Social Responsibility initiatives, and for charitable grant giving, social enterprise investments and more. To make an introduction, please get in touch with us at giving@dseinternational.org. 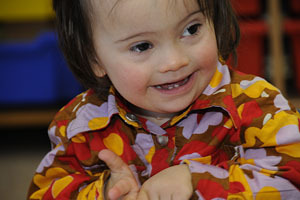 Legacies provide an important part of our income and ensure that our work continues to benefit future generations of young people with Down syndrome. Please get in touch with us at giving@dseinternational.org for more information. We can reclaim income tax paid on donations by UK taxpayers via the Gift Aid scheme (please tick the appropriate box on our donation forms). Higher rate UK taxpayers can claim further deductions in respect of donations on their personal tax returns. US taxpayers may wish to donate to support our work through our associated US nonprofit. 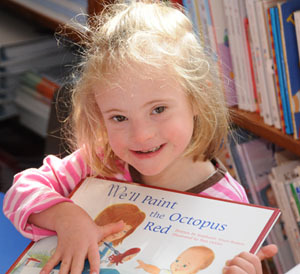 Down Syndrome Education USA is a 501(c)(3) nonprofit.